Annual operator of the year contest shines a spotlight on the most impressive application equipment operators in the business. There’s a place where good people still finish first. For 13 years, AGCO has recognized the top operators in the application industry with the Operator of the Year Award. 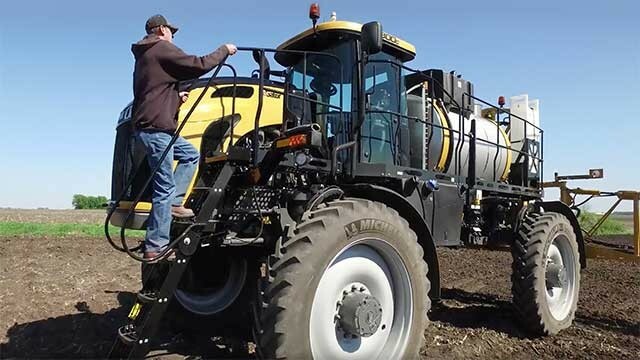 The Operator of the Year program recognizes custom applicators in North America who spend hundreds of hours in the field every year, applying fertilizer and crop protection products on millions of crop acres. The award showcases the hard work professional applicators put into caring for crops and customers, as well as their involvement in their communities. We’re proud to recognize these outstanding people, and feel they deserve all the thanks they can get. See what makes an operator so special and why we’re proud to recognize the hardworking application operators that selflessly sacrifice their time and energy, both in the field and the community.